Being a professional athlete means you are constantly at risk for countless injuries, potentially career-ending injuries. It is essential to the livelihood of athletes and their families that they have a solid, reliable disability insurance plan. 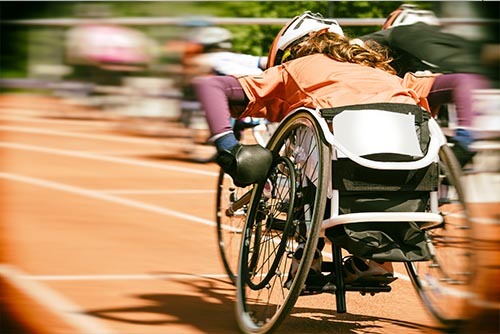 Disability insurance protects professional athletes from the loss of income that usually occurs when the athlete cannot perform for an extended period of time due to an injury. Unfortunately, even seemingly minor injuries can result in a total career ending for professional and college athletes. Since the risk is so great, most traditional insurance companies do not guarantee disability insurance for athletes. Here at World Wide PCI, we provide high limit coverage for college and professional athletes against both temporary and career-ending, or permanent, disabilities. Every sport has its own guidelines for contracts and insurance plans that underwriters generally follow. Our private client insurance specialists at World Wide PCI can explain all the ins and outs of disability insurance and what can be accomplished for your maximum benefit. Our disability insurance plans come with multiple benefits, including coverage in the event of injury for projected future earnings, loss of endorsements, lost contract completion, and many other costs. There are many athletes out there with high annual incomes, yet they do not have adequate Disability Insurance. Disability Insurance is vital in the world of professional sports since the consequences of injury can be devastating to the athletes. Disabilities could potentially leave an athlete unable to perform in his or her field of work for the rest of their life. If that is the case, Permanent Disability Insurance is crucial. Temporary Disability Insurance policies are just as important since many injuries will leave an athlete unable to perform for an extended period of time, though not career-ending, so they will eventually be able to return to work.